Responsible since 1999 of the IC design Group in Thales Alenia Space España. Graduated in Electronics Physics with more than 16 years of experience in the microelectronic field. Entered the company in 1996 as ASIC and FPGA designer. Since then has leaded or been involved in more than one hundred developments of both ASICs and FPGAs. He has been responsible of several Research and design projects funded by ESA, EC and the Spanish Ministry of Industry. VLSI Circuits designer entered the company in 1996. Graduated in Electronics Physics with more than 16 years of experience started her career as university teacher in Cantabria University. With a wide research experience, with more than 15 international publications, she has leaded some tens of developments of both ASICs and FPGAs. She has been responsible of several Research and design projects funded by ESA, EC and the Spanish Ministry of Industry. 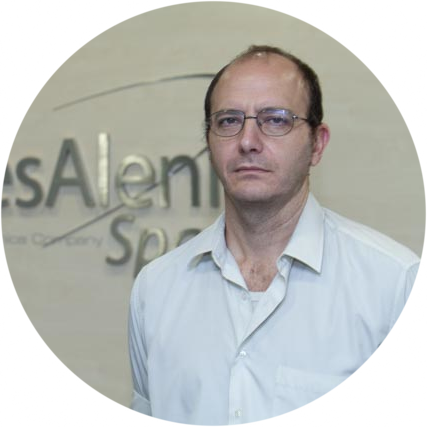 Digital Equipment Designer and technical manager at Thales Alenia Space Spain. Telecommunications Engineer with more than 19 years of experience in various fields began as a maintenance engineer in Fischer-Porter, and then was hardware/software designer at ENA Telecommunications, Amper Data, EIPITELECOM, and several positions as designer and project manager at Alcatel Spain. Since 2004 he is responsible of several digital equipment projects for space applications. Responsible of the Digital Equipment Design Group, Telecommunications Engineer with more than 10 years experience in the design, manufacturing and test of Digital Data Processing equipment, including the technical responsibility on equipment for scientific satellites such as Venus Express, Sentinel 3 and other critical missions such as ESA’s ATV for the International Space Station. 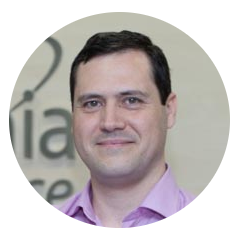 Head of R&D and Systems Project Manager: Telecommunications Engineer (1997) by UPM in Madrid, has more than 15 years experience, starting at Alcatel Space as a designer of digital equipment, has been responsible for the digital engineering group and director of operations. In 2009 returns to the technical activity and occupies a position within the R&D Management Area at Thales Alenia Space Spain. Responsible for several projects in the area of Telecommunication Systems.